CCEI’s Basic Center Management Certificate introduces participants to the basic elements of child care center management, including developing and upholding a program philosophy and mission, hiring and retention of qualified staff, marketing, customer service, and basic legal issues. 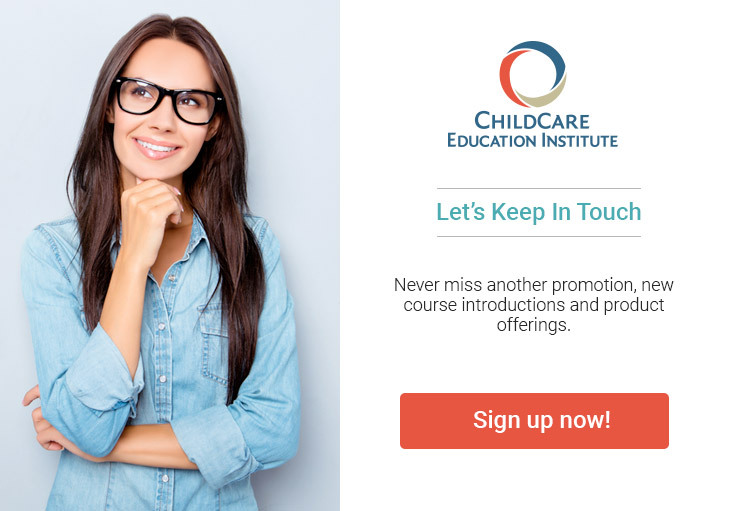 End of Course Quizzes in multiple-choice format – Students must pass each quiz with a grade of 70% or better to complete the child care center management certificate. Cumulative Final Exam in multiple-choice format – Students must pass with a grade of 70% or better to complete the certificate program. Textbook Information: No textbook is required to complete this child care center management certificate program. Prospective students are strongly encouraged to check with their licensing representatives to determine each program’s applicability toward state requirements.